ASA Microfinance (Tanzania) Limited, incorporated under the Companies Act 2002 (No. 93819) of Tanzania and an affiliate of ASA International (www.asa-international.com), one of the largest microfinance companies in the world. We are hereby inviting qualified citizens of Tanzania to be part of our team for the following positions. 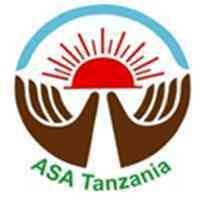 ASA Tanzania is an equal opportunity employer who requires dynamic, loyal and committed young men and women who have passion for people’s socio-economic development to fill in the following positions for immediate appointment. To build and maintain a substantial and high-quality loan portfolio. To conduct members recruitment and screening. To orient clients to the particular loan products and services. To make groups in all working days in a week, minimum Total clients will be 350. Make a regular contact with the groups and clients in field. Collect installments from the clients in groups on regular basis and on time. To manage loan disbursements and monitor & collect loan repayments. Verify client’s Guarantors house and other necessary documents. To provide quality and good customer service to clients. To accomplish day by day activities as required. To accomplish all the documentations for the day as required. Experience is not required but will be an added advantage. Willing to work in field level. Ability to work independently at minimum supervision. Sensitive to operational risks, self-initiative and decisive with high standard of integrity. Ability to work efficiently in a team environment and to demonstrate good negotiation skills. Applicants who consider himself/herself competent with the above-mentioned position, please send your application to [email protected].com before 1700HRS on 15th April 2019. Only short-listed candidate will be contacted for interview. No phone calls are allowed for inquiry. No allowances will be admissible for interview.